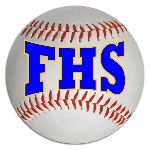 Robbie Armitage went 2-3 as Falmouth took home a 7-2 victory over Portland in seven innings on Monday. He singled in the fourth inning and doubled in the fifth inning. Garrett Tracy got the win in relief for the Yachtsmen. Tracy pitched one inning and allowed no runs. #20 of Portland was charged with the loss. He allowed seven runs in 5 1/3 innings, walked six and struck out one. Yachtsmen, Falmouth, Maine pushed one run across in the fourth inning to start the scoring. Yachtsmen, Falmouth, Maine got on the board thanks to a fielder's choice. It didn't take long for Portland to respond as it scored one run of its own in the fourth. Portland scored on an RBI single by PlayerF. Yachtsmen, Falmouth, Maine went up for good in the fifth, scoring four runs on a two-run double by Armitage, a groundout by Reece Armitage, and an RBI single by Connor Aube. One run in the bottom of the sixth helped Portland close its deficit to 7-2. An error gave Portland life. Yachtsmen, Falmouth, Maine stopped the rally after Armitage got PlayerF to strike out.